GarverUSA.com has a new look, and with that comes a new home for the latest news, highlights, and happenings at Garver. Be sure to bookmark GarverUSA.com/News for all the latest updates regarding Garver projects, employee accomplishments, and more. Bert Parker has always been an integral part of Garver’s continued growth, and today we would like to congratulate Bert on his 40th anniversary with the company! Currently serving as chief administrative officer, Parker, who joined Garver in 1978, has also served as director of transportation and spent his earliest years on the Bridge and Aviation teams. 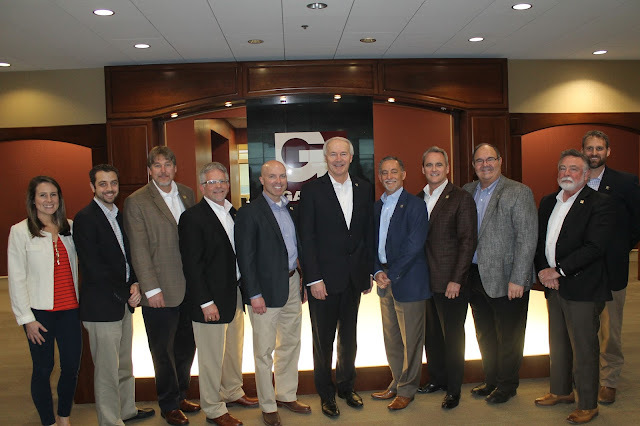 Over four decades, Parker has helped Garver take on new services, expand into new markets, and in 2017 became just the fifth engineer from Arkansas to be accepted into the ACEC College of Fellows, a distinguished class of engineers selected by their peers for their contributions to the profession. 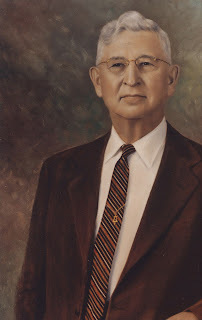 He has provided oversight and improvements to the expansion of the federal interstate system along with state and local highway projects and, perhaps his largest contribution, served as project manager for the I-540 and Bobby Hopper Tunnel project, the state’s first highway tunnel. 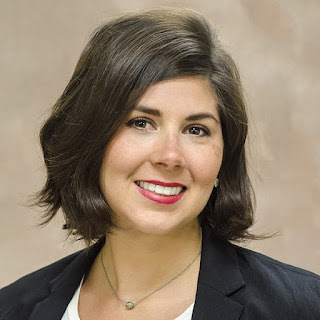 A Garver-led project that helped a wastewater treatment plant adhere to reduced permit limits has earned the Grand Award from the American Council of Engineering Companies of Alabama. The Helena Wastewater Treatment Plant Design Improvements project earned the award from the American Council of Engineering Companies of Alabama’s Engineering Excellence Awards contest. The project consisted of multiple improvements that helped the Helena WWTP meet strict effluent discharge limits for total phosphorus. 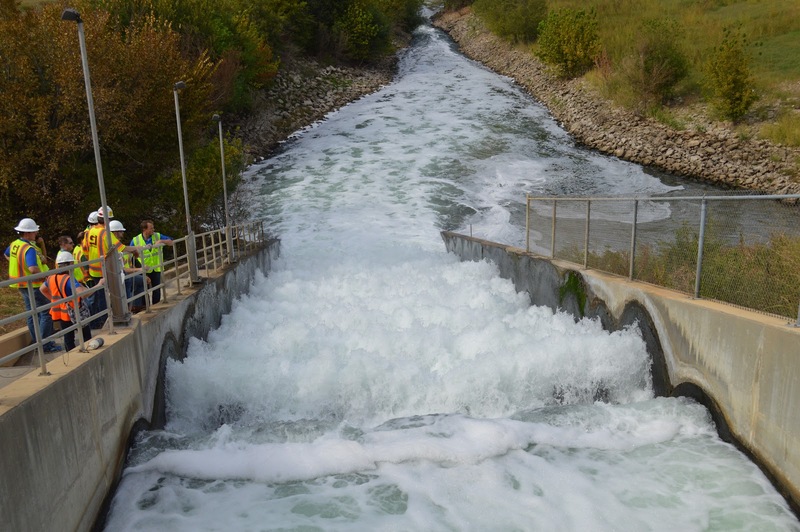 Because it discharges into Buck Creek, reliable performance and operation of the Helena WWTP is essential to maintain the quality of this body of water frequently used by the citizens of Helena and surrounding communities for swimming, wading, canoeing, and fishing. To help the plant meet the current and future total phosphorous requirements (0.20 mg/L and 0.043 mg/L), Garver first developed a facilities plan that included a plant-wide evaluation of existing treatment processes to identify shortcomings that hinder plant performance. That plan led to phased improvements designed to meet current and future requirements. Phase 1 of the project, which was completed in September 2017, included rehabilitation of the existing secondary clarifiers, new tertiary filtration equipment, new chemical storage and feed facilities, and a new UV disinfection process. Because the existing plant hydraulics were limited, the design team had to develop a unique disinfection and post-aeration strategy consisting of closed-vessel, low-pressure UV disinfection followed by a low-profile, cascade aeration system to provide treatment regardless of downstream water level conditions in Buck Creek. This is the second Grand Award earned by a Garver-led project in the ACEC-Alabama contest. 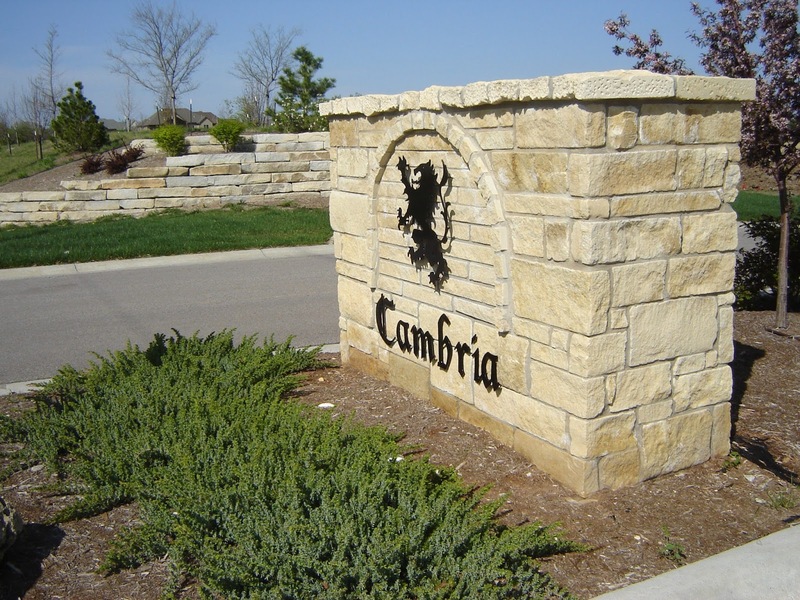 The Tuscumbia Water Treatment Plant and Supply Improvements project earned the Grand Conceptor Award in 2013. 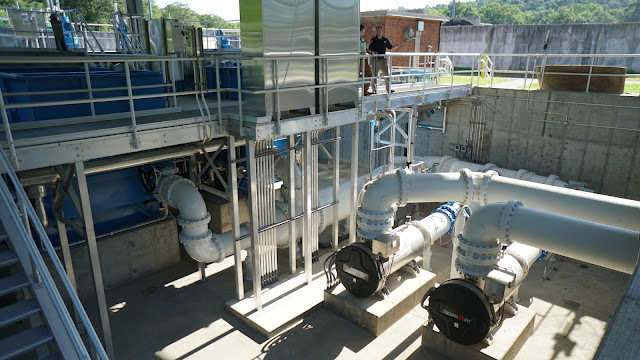 That project was the first in the state to use a blended series membrane process after Garver provided project design, funding assistance, bond issue assistance, construction management, and operation support in replacing a 60-year-old plant. The ACEC-Alabama Grand Conceptor Award for 2018 will be announced at the awards presentation in April. To learn more about what Garver’s Water Team can do for you, visit GarverUSA.com/Water. 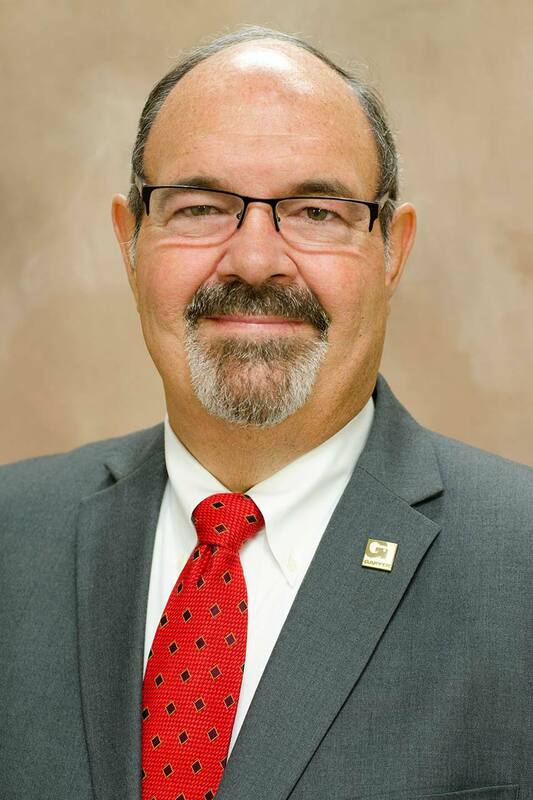 Garver, the Boone County Regional Airport, and North Arkansas College have had a working relationships for years, having combined on previous projects that have provided airport upgrades along with valuable experience for the college’s students. Now, all three are teaming up again, in a project that will create an expanded parking lot near a terminal facility to be completed at no cost to the airport located in Harrison, Arkansas. Thanks to a grant from the Arkansas Department of Aeronautics that will cover engineering and construction costs, Garver will design the expanded parking lot and students at North Arkansas College will provide labor, which will take place during the spring 2018 semester. The students, who have a history of providing the airport with in-kind services, will construct the earthwork and aggregate base course for the parking lot that will relocate the airport’s growing rental car parking spaces to the newly constructed lot. The expansion will create 43 new spaces for the airport. It’s not the first time the three entities teamed up for this type of project delivery. 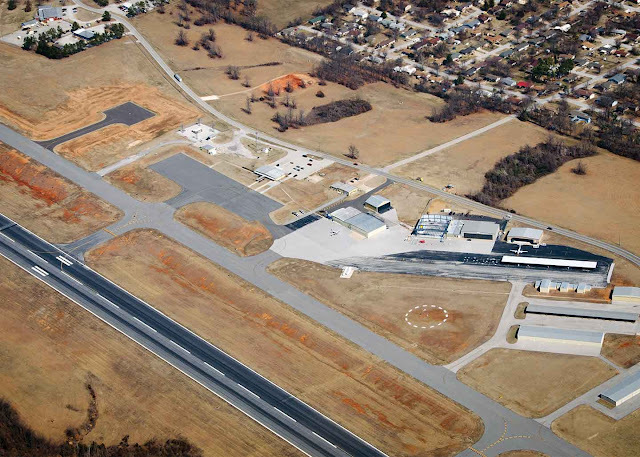 In 2012, a grant from the Arkansas Department of Aeronautics funded a Garver-designed project that delivered a 315-foot-long taxiway and apron that provided access to a new hangar area. To learn more about what Garver’s Aviation Team can do for you, visit www.GarverUSA.com/Aviation. 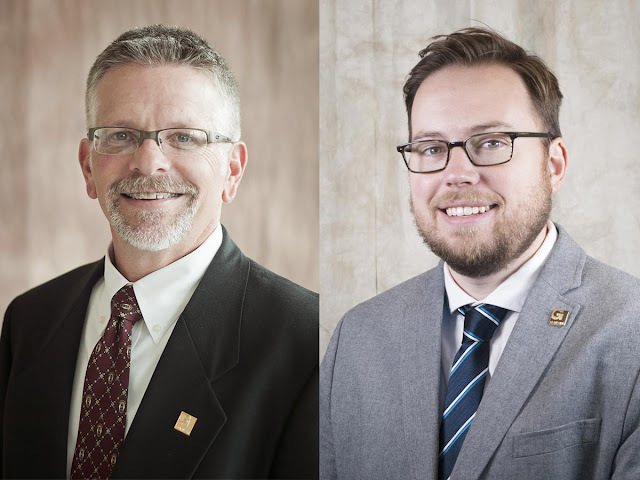 Garver Water Services Director Dr. Steve Jones and Water Reuse Practice Leader Dr. Michael Watts co-authored recently an article published in the Water Environment Research journal that highlighted the continued need for the development of alternatives to meet public water demands. Titled “A Nanofiltration Decision Tool for Potable Reuse: A New Rejection Model for Recalcitrant CECs,” Jones and Watts touched on the need for new strategies for sustaining public water portfolios amidst population growth and drought. The objective of the research outlined in the article was to verify the occurrence of chemicals of emerging concern (CECs) in reuse rejection performance, and to conceive a decision tool for selection of either nanofiltration (NF) or reverse osmosis (RO) membrane treatment for potable reuse. Read the entire article by logging into the WER website here. To learn more about how Garver’s Water Team is helping to address a growing water crisis, visit GarverUSA.com/Water. 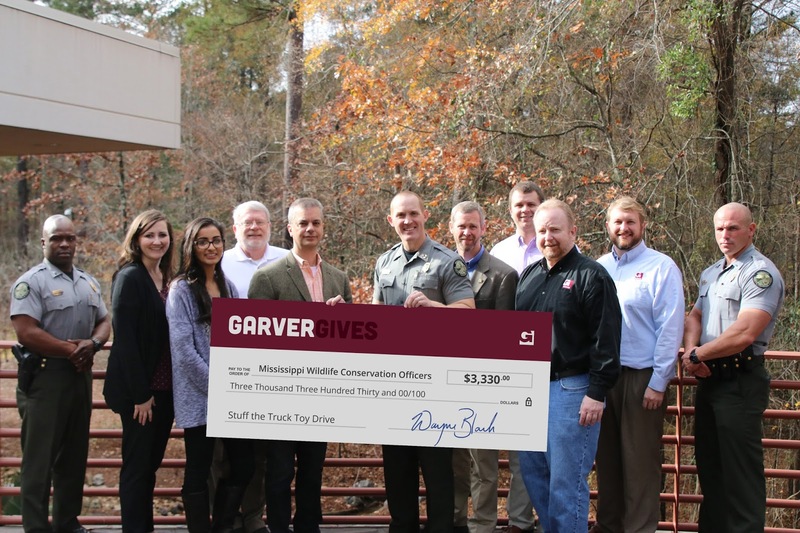 In what has become an annual holiday tradition, a GarverGives donation from Garver’s Jackson, Mississippi office benefited a toy drive held by the Mississippi Department of Wildlife, Fisheries & Parks Conservation Officers in support of a local children’s hospital. A group of 10 employees in Garver’s Jackson office presented a $3,300 check that went to the Conservation Officers' “Stuff the Truck” toy drive, which was organized to provide support to the child life specialists at Batson Children’s Hospital in Jackson. It is the second consecutive year in which Garver has contributed to the Conservation Officers' event that benefits Mississippi’s lone children’s hospital. The “Stuff the Truck” drive supports the hospital’s annual toy drive that is put on by its child life specialists, who strive to provide education, support, and joy during each patient’s hospital stay. To learn more about Garver’s charitable giving, visit www.GarverUSA.com/GarverGives. The Encyclopedia of Arkansas History & Culture, an online resource operated by the Central Arkansas Library System, published recently a biography of Neal Garver, the founder of this company, which touches on his early life on the family farm in Iowa, his time at Iowa State University, his arrival in Arkansas, and some of the company’s earliest achievements. Garver worked in Toledo, Ohio, and as a professor of structural engineering at the University of Illinois at Urbana-Champaign, before reporting in June 1918 to Little Rock, Arkansas, to aid the country’s war effort. He and two engineering colleagues arrived to supervise the construction of a picric acid plant southeast of Little Rock, which was to be used to manufacture munitions during World War I. By the time the war ended that November, before the plant could become operational, Garver had already decided to stay in Little Rock to help improve the infrastructure in a state that, at the time, had few engineers. “Architects were here in sufficient number to design buildings, but few could design complicated structural features,” Garver wrote in his unpublished autobiography. 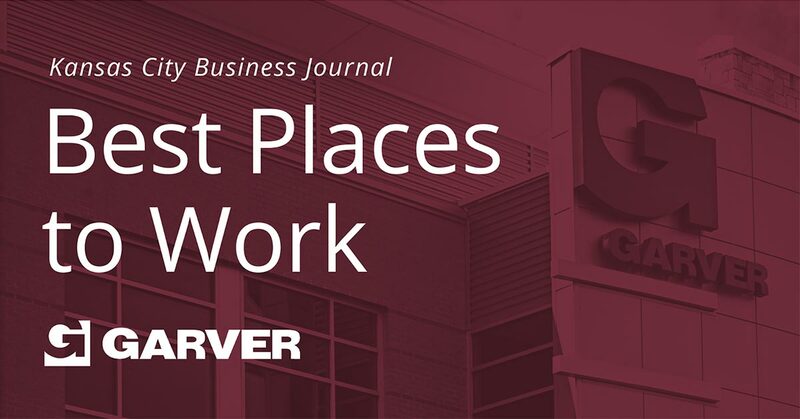 In 1919, as the firm’s lone employee in the Gazette Building in downtown Little Rock, Garver started what has grown since into a multi-disciplined firm with offices in 10 states and nearly 500 employees. 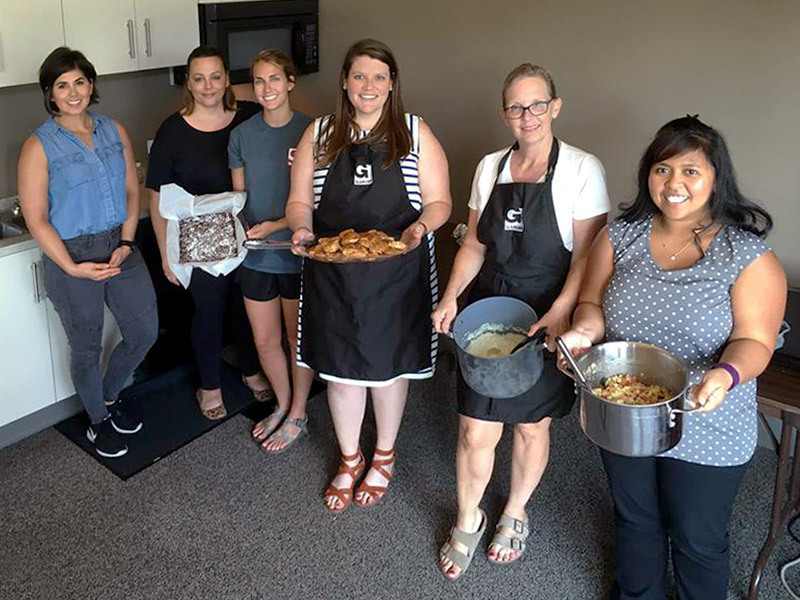 A relationship between Garver’s Norman, Oklahoma, office and a local homeless shelter began three years ago, when employees began helping retrieve donations for the shelter to use for the meals it makes daily. 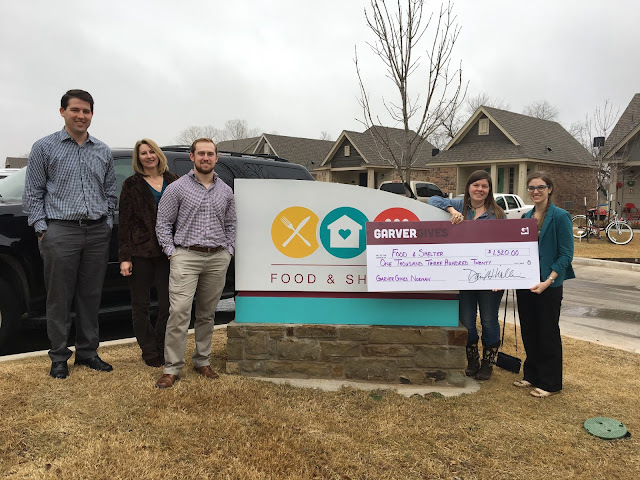 A total of 11 employees from the Norman office exceeded that help to Food and Shelter, Inc., recently with a donation that will assist in its daily contributions to the homeless community. 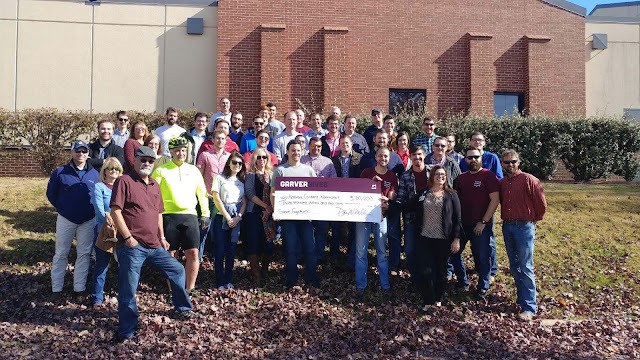 GarverGives matched employees' efforts with a $1,320 donation presented last month to Food and Shelter, and will go to aid the soup kitchen and shelter program’s quest to provide daily meals and consistent housing. Garver employees donated more than 56 hours of time to Food and Shelter in 2017, picking up donated goods from two area coffee shops and a grocery store, while some also helped serve breakfast. Employees also donated $400 on Giving Tuesday last November. Food and Shelter, a fully operational soup kitchen and shelter program founded in 1983, serves the homeless community in Norman breakfast and lunch each day, and provides short-term, long-term, and supportive housing for homeless individuals and families. To learn more about Garver's charitable giving, visit www.GarverUSA.com/GarverGives. 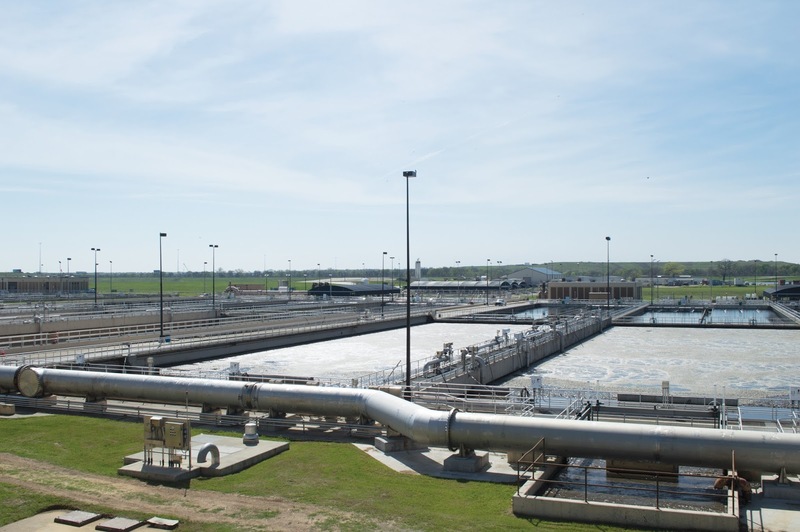 A Garver-led project that will help assess alternatives and improve operational efficiency for decades has earned one of the industry’s highest honors from the American Council of Engineering Companies of Texas. The Trinity River Authority of Texas (TRA) Central Regional Wastewater System (CRWS) Master Plan and Modeling project earned a Gold Medal recently in the studies, research, and consulting engineering services category of ACEC-Texas’ Engineering Excellence Awards. In the most detailed evaluation ever completed at the CRWS treatment plant, the Garver team evaluated plant capabilities, capacities, and treatment paradigms; projected future flows and loadings; and anticipated regulatory requirements, completed processes and hydraulic modeling assessments while delivering a new plant process model and a new hydraulic model. The key to the project’s success was Garver’s development of stop gaps that helped determine if there were any unidentified items to evaluate or unintended consequences. The final Master Plan was the result of a 22-month effort that developed 39 capital improvement projects. 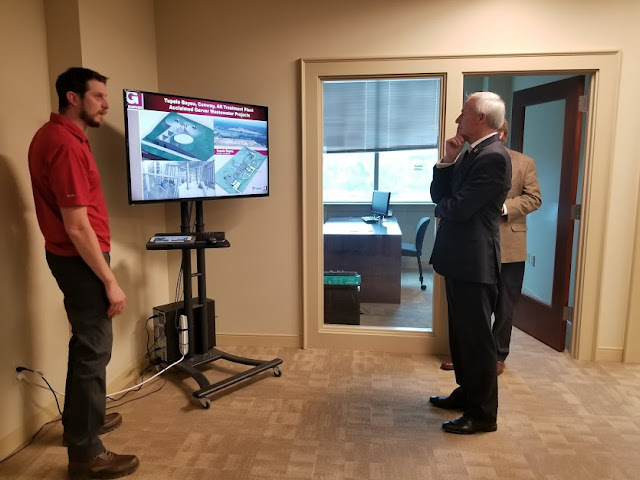 Each project evaluation included life cycle cost analysis, uncertainty analysis using Monte Carlo simulations, and non-economic evaluations, all of which will help provide recommendations on capital planning and operations and maintenance for the facility to manage 405 million gallons per day of flow. To learn more about what Garver’s Water Team can do for you, visit www.GarverUSA.com/Water. Garver Regional Marketing Administrator Cindy Gran has been elected President of the Oklahoma Chapter for the Society for Marketing Professional Services (SMPS). 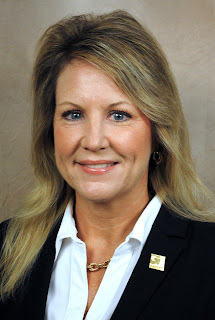 Gran, who has been a member of Oklahoma’s SMPS chapter since 2006, began her one-year term on Sept. 1. Identified as the leading organization dedicated to creating business opportunities in the AEC industry, SMPS counts more than 6,000 businesses and professionals as members. 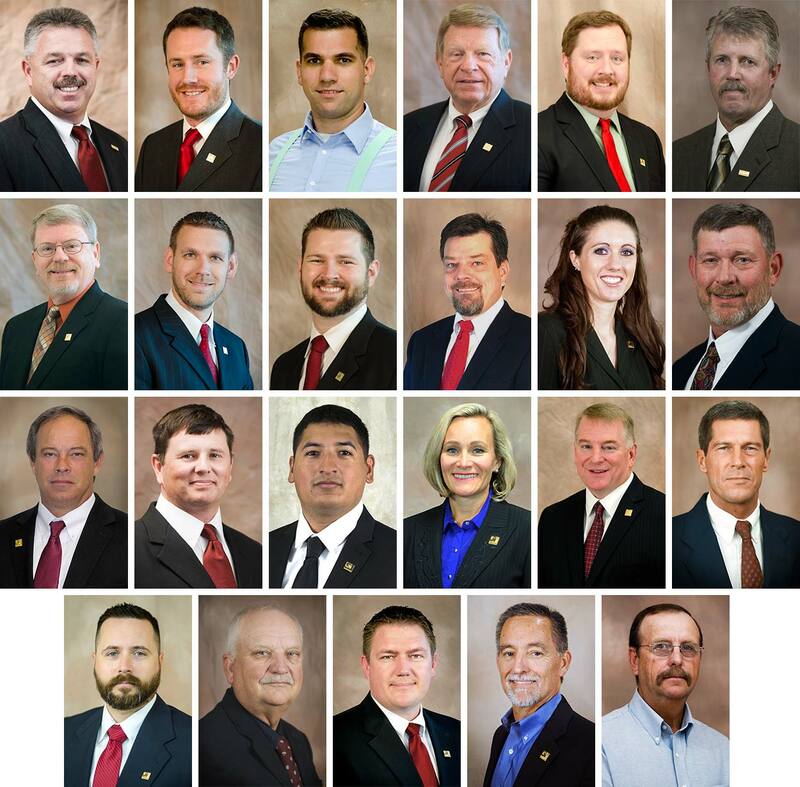 The Oklahoma chapter, formed in 2001, aims to strengthen the AEC industry in the state through networking, educational programs, certification, and national exposure. Gran has served previously on the National SMPS Marketing for Communications award selection jury for SMPS, as the Oklahoma Chapter Membership Chair and President-Elect, and as President of the Society of American Military Engineers (SAME) Tulsa Post, which honored her with the distinguished Regional Vice President (RVP) coin in recognition of outstanding service to the organization in 2013. A recent donation from Garver’s Norman, Oklahoma office will help advance the mission of Earth Rebirth, a nonprofit organization that aims to educate the community by creating sustainable food, energy, and water. Earth Rebirth’s award-winning Garden Your Own Growth program uses its various education programs to spark economic improvement within its community by using the food it produces. The Norman-based organization now reaches 17 schools, 15 of which are in Norman, including an aquaponics system at Norman High School that supplies its cafeteria, a food pantry program, and a local farmer’s market. Garver gladly supports the hands-on, STEM-based curriculum that allows up to 300 students maintain the gardens themselves. The $1,500 GarverGives donation will support Earth Rebirth as it increases the number of school gardens; helps purchase winterization supplies for school gardens, and materials to construct hoop housing for raised garden beds and in-ground garden beds while funding transport to each of the 17 partner schools. 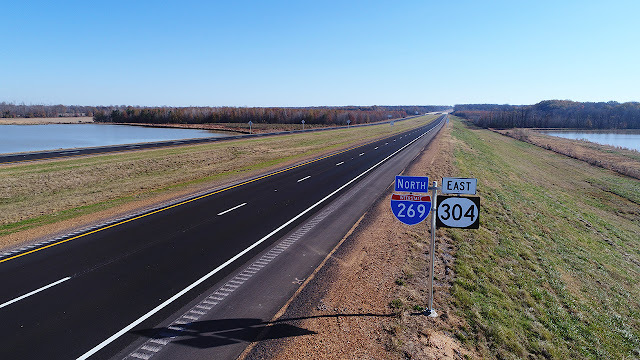 Garver joined representatives from the Mississippi Department of Transportation, the Federal Highway Administration, and several elected officials this week to mark the opening of a section of I-269 in Marshall County, Mississippi southeast of Memphis, Tennessee. The four-lane controlled access interstate extends I-269 from just east of U.S. Highway 78 to State Road 302 and is the second leg of the ongoing project. Garver provided engineering services for Phases A, B and C of the project, which included surveys, roadway, traffic and bridge design. 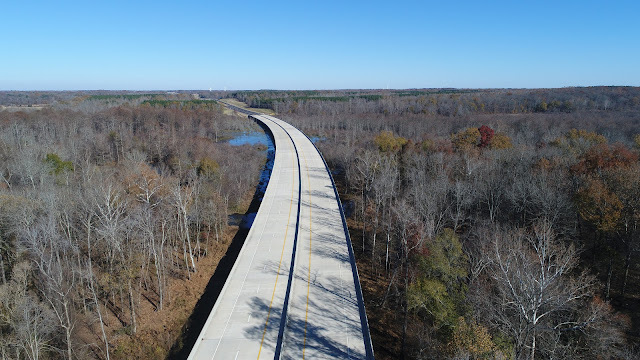 Garver’s section of the project, which opened this week, covers 6.3 miles and includes one interchange, several grade separation structures, and a 4,000-foot bridge over the Coldwater River. Eventually I-269 will provide an interstate loop around Memphis, providing easier access into Memphis while opening up additional areas to further development. From Hernando, Mississippi, the interstate will travel along Memphis’s eastern edge to Millington, Tennessee. To learn more about how Garver’s Transportation Team can help you, visit GarverUSA.com/Transportation. 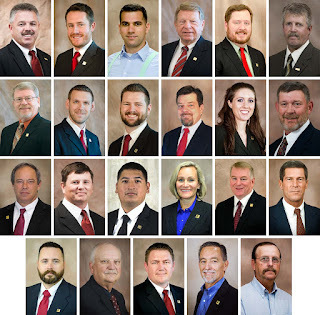 Photos courtesy of the Mississippi Department of Transportation. The American Council of Engineering Companies of Texas recently honored a Garver-led project that turned one of the U.S. Army’s most complicated radar approach control facilities into a modern and updated operation focused on efficiency and safety. A full-scale renovation of the Army Radar Approach Control building at Robert Gray Army Airfield at Fort Hood in Killeen, Texas was awarded a Gold Medal in the Building/Technology Systems category by ACEC-Texas, the result of a combined effort between Garver’s Aviation, Facilities Design, and Federal teams. The project completely reorganized a control facility that has been in use since 1975 and currently services eight civilian and four military airfields in central Texas. “Because of its importance, we had to come up with a plan to keep the ARAC operational during construction," said Project Manager Josh Crawford. "It was a difficult task, but we're proud to say it didn't miss one day of operations." 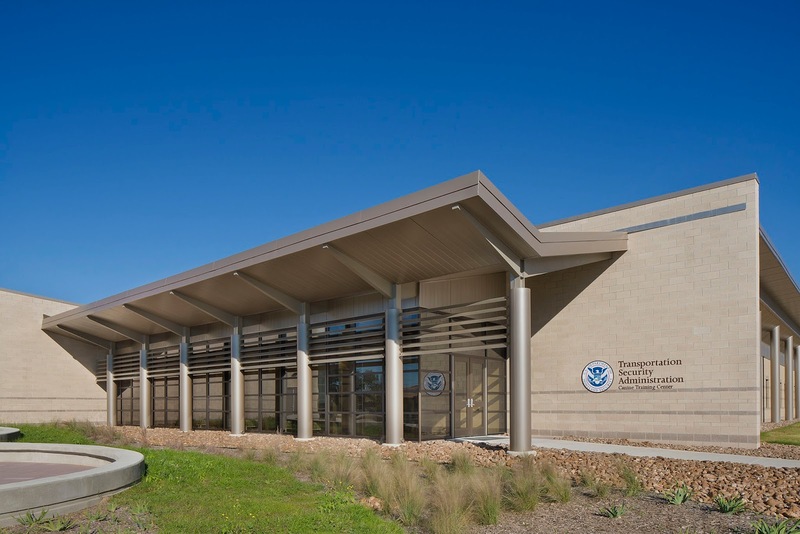 Garver’s plan provided a temporary and transportable facility, which required coordination with the Federal Aviation Administration, Fort Hood Directorate of Aviation, and the City of Killeen Department of Aviation, to keep operations going during the renovations. The new facility, which opened earlier this year, now has a free-flowing floor plan concentrated to enhance operations, maintenance, administration, and general areas, to more efficiently service up to 10,000 flights per year. To learn more about what Garver's Aviation Team visit GarverUSA.com/Aviation. 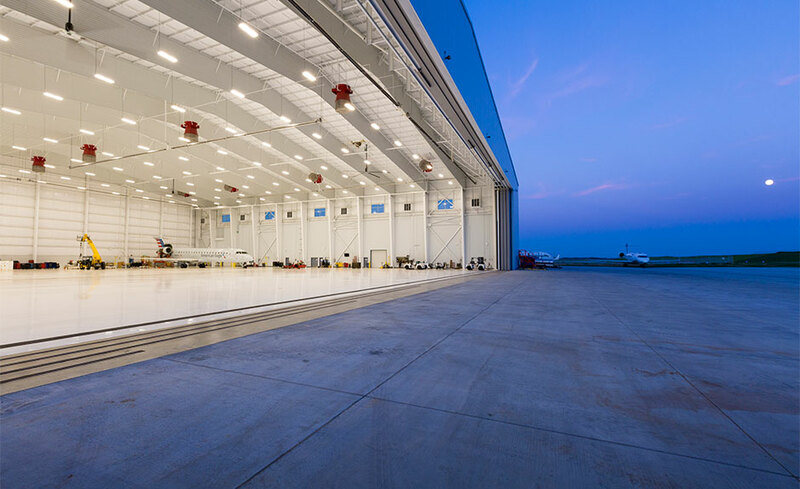 A Garver design-build project that provided the Transportation Security Administration (TSA) with a state-of-the-art canine training facility has earned one of its industry’s top awards. The Design-Build Institute of America awarded the Canine Training Facility at Lackland Air Force Base in San Antonio, Texas, with a National Award of Merit in the Educational Facilities category at its annual awards dinner last week in Philadelphia, Pennsylvania. Garver provided design project management, design quality control, and architectural, civil, communications, mechanical, plumbing, and fire protection design services. 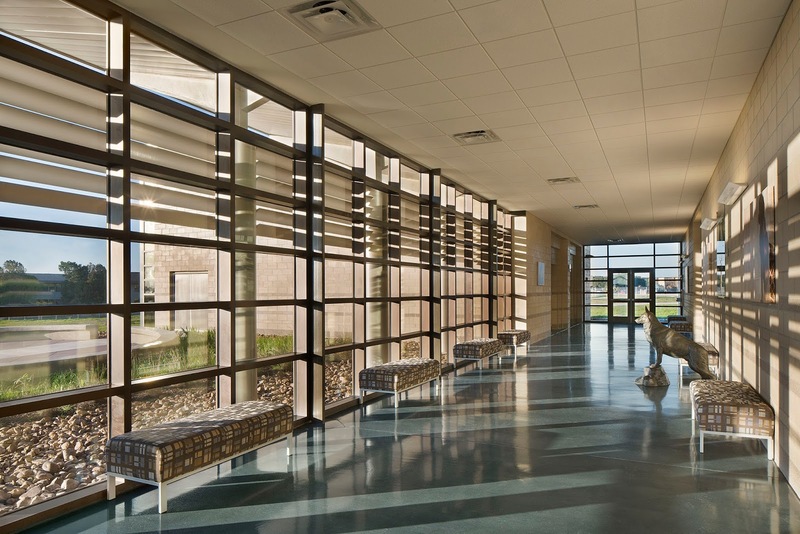 Garver was joined on the design-build team with The Ross Group and HDR for the 25,000 square-foot-facility that includes classrooms, offices, and large gathering spaces. The LEED Silver facility is equipped to educate around 230 canine-handler teams per year. To learn more about what Garver’s Facilities Design Team can do for you, visit GarverUSA.com. Garver affects its communities on a daily basis through improvements to airports, roads, and water treatment plants. But Garver’s Fayetteville, Arkansas office recently impacted a vital addition independent of infrastructure design. About 60 employees in the Fayetteville office united last week to raise more than one-third of what resulted in a $30,000 donation from GarverGives, the company’s corporate giving arm, to Arkansas Children’s Northwest, a state-of-the-art pediatric care center scheduled to open in January 2018 in Springdale. 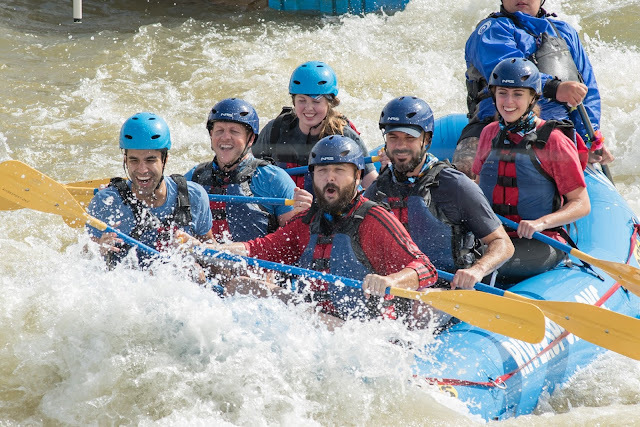 employees met a fundraising goal. Arkansas Children’s Northwest will be the first freestanding children’s hospital in the area, which will aid Garver’s employees and their families along with the rest of the community. To learn more about Garver’s charitable giving, visit GarverUSA.com/GarverGives. Garver is eternally grateful for the sacrifices made by the men and women who served our country, as well as those who continue to do so. On Friday, we will recognize those veterans who provided a safer nation by serving the military and who now serve Garver in our mission to provide that same nation with sound infrastructure. More than 20 current Garver employees served in various military branches – a group that touches multiple business lines and Garver offices – and to them we say thank you for what you’ve done for our country and continue to do for our company. 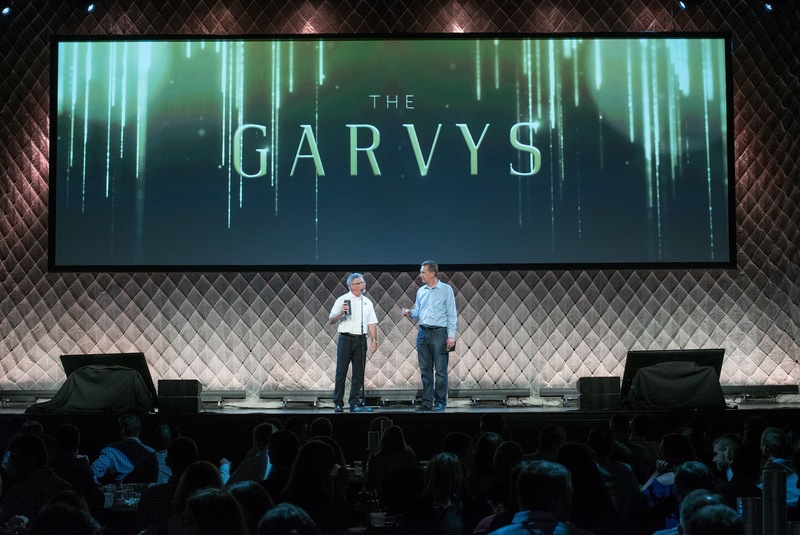 Each year, Garver Summit is held to celebrate company achievements and the employees who helped make them possible. 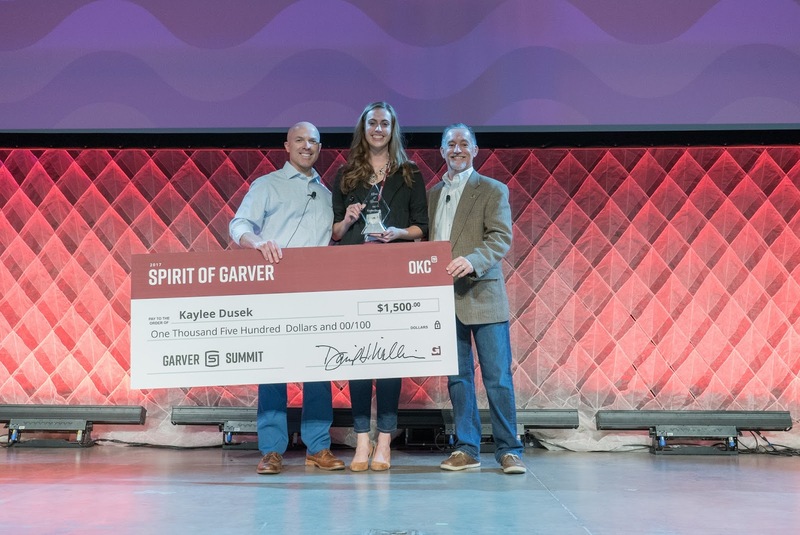 That’s why, one of the features of each Summit is announcing the Spirit of Garver Awards, which go to the individuals who best exhibited dedication, passion, and leadership toward the company's mission over the previous year. This year, for the first time ever, three were announced as Spirit of Garver winners. Kaylee Dusek, Edoardo Luna, and Andrew Snyder each won the award, which comes with a cash prize and recognizes their achievements in best displaying Garver’s values. 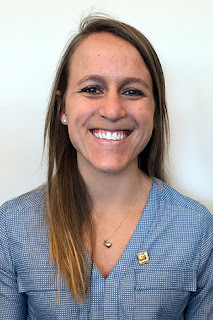 Dusek is a project engineer on the Water Team in the Frisco, Texas office. Luna is a Regional Finance Leader in the Frisco, Texas office. And Andrew Snyder is a Project Manager on the Transportation Team in the Tulsa, Oklahoma office. These three were joined by 10 others as finalists, which came from a collection of nominees recommended by their colleagues. Congratulations to our winners, our nominees, and finalists. 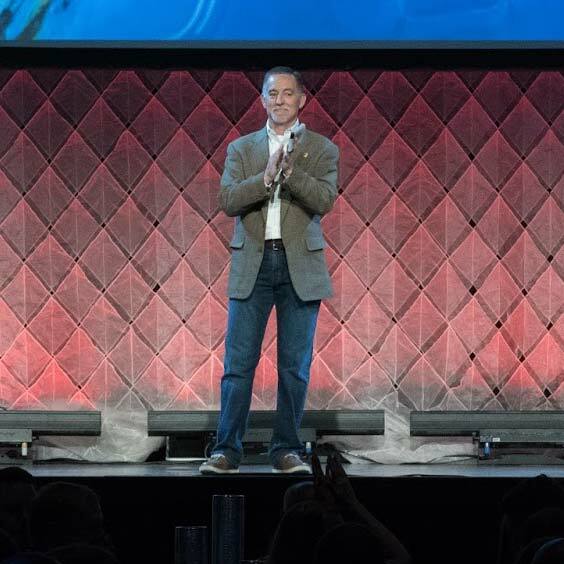 To see more photos from Summit 2017, visit our Facebook Page. 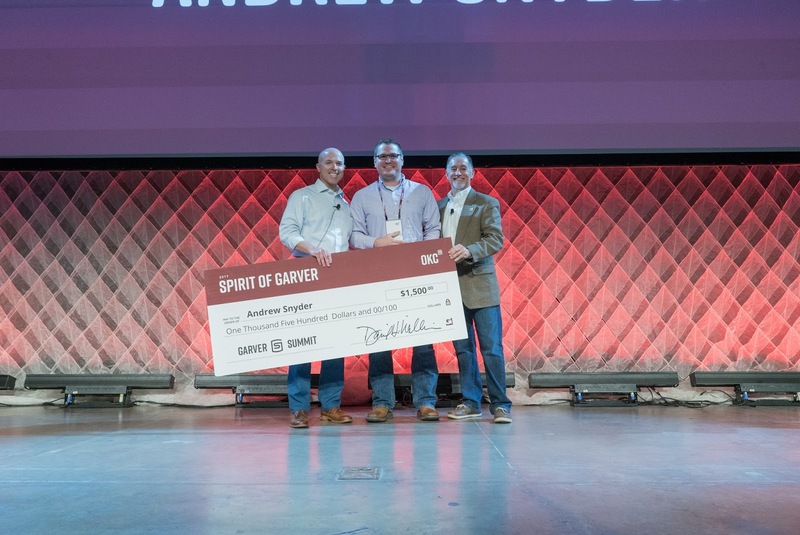 A pair of Garver-sponsored events held in Tulsa recently assisted a charity aimed at helping those with developmental disabilities raise more than $3,000 as part of a months-long fundraising effort. 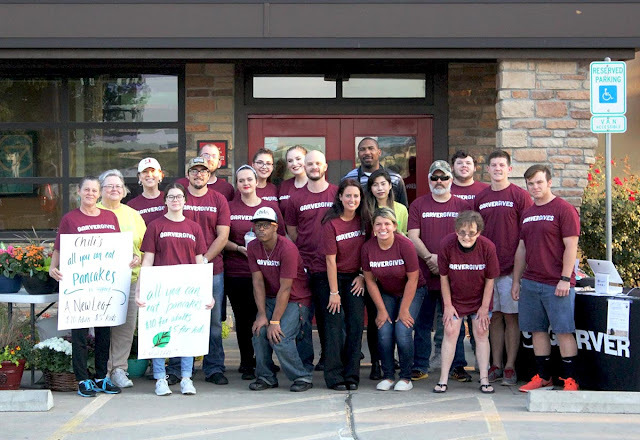 Ten volunteers from Garver’s Tulsa, Oklahoma office hosted a pancake breakfast followed by a four-on-four sand volleyball tournament last month. 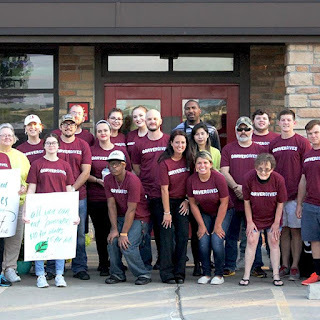 All proceeds from both events went directly to A New Leaf, a Broken Arrow-based organization that provides those with developmental disabilities with life skills and job training through horticulture and community-based vocational placement. Garver’s pancake breakfast, assisted by volunteers from a local Chili’s restaurant, where the event was held, the Civitans from Tulsa Community College, and The Eagle, KJSR-FM, 103.3, raised more than $2,000 by selling tickets at $10 each. After additional tips and donations, the breakfast averaged more than $25 per person. Then, a 10-team volleyball tournament, assisted by the Tulsa Volleyball League, provided even more assistance to the organization. Both were held as part of A New Leaf’s “Grow Together” campaign to raise funds and awareness through a variety of events spread over multiple months. 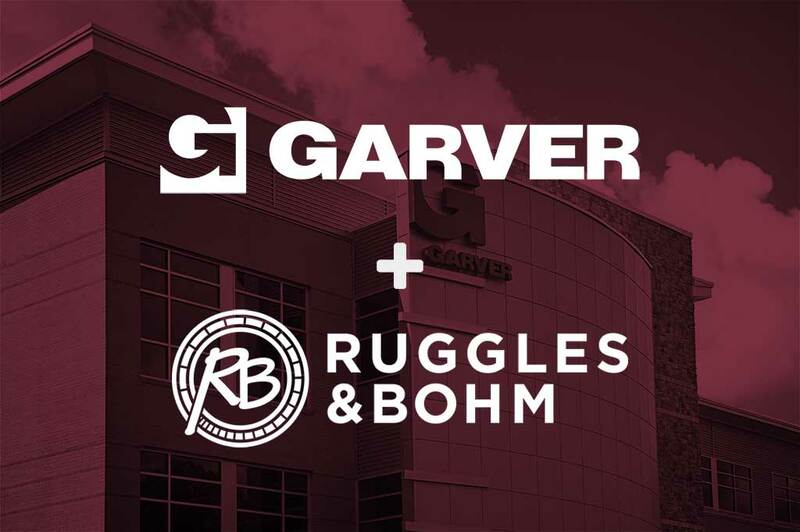 In a continued effort to spread its quality services, Garver announced today that it has acquired Ruggles & Bohm, an engineering and design services firm based in Wichita, Kansas. A trusted company with roots in Kansas for almost a quarter-century, Ruggles & Bohm has created its reputation by providing valued results based on sound relationships, which will only be enhanced by its transition into a Garver footprint that includes nearly 500 employees spread between 24 offices in 10 states. Ruggles & Bohm’s 12 employees will transition immediately to Garver, while President Chris Bohm has been named Transportation Team Leader and will continue as point of contact for the Wichita office. Since 1992, Ruggles & Bohm has provided its clients with civil engineering, land surveying, landscape architecture, and government services, growing with a philosophy rooted in valued results, clear answers, quality customer responses, and meaningful relationships. 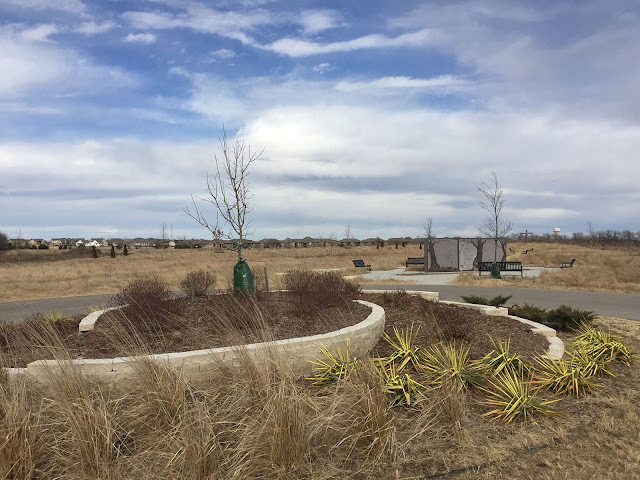 It has included the Wichita Airport Authority, McConnell Air Force Base, and the Kansas cities of Andover, Bel Aire, Maize, Newton, and Wichita, on its varied list of clients. Garver, which is already working with the Wichita Dwight D. Eisenhower National Airport, now has three Kansas offices – two in Wichita and one in Overland Park – among its 24 spread across the country. To learn more about Garver's variety of services, visit GarverUSA.com. The impact of Hurricane Harvey has left more than a million residents of southeast Texas without homes, and even more facing a long recovery period. The Texas Military Department (TMD) is leading that recovery effort, with about 12,000 guardsmen deployed to assist those in Houston and surrounding areas who were impacted from the Category 4 storm that made landfall on Aug. 25. While the TMD, which heads the Texas Army and Air National Guard, focuses on that effort, its own installations were also affected by the storms and are in need of repairs. Garver, which counts Houston and eight others in Texas among its 23 nationwide offices, has been contracted by the TMD to assess 21 installations in the state that have suffered damage because of the storm that created 130 mph winds and 40-52 inches of rainfall. The installations are located in 16 different Texas cities – as far west as San Antonio, as far north as Huntsville, as well as La Marque and La Porte along the coast – and the work will be used to establish plans for future projects for facility maintenance, repairs, and updates for the installations to return to operational readiness. The completed work will provide a thorough evaluation of facility condition, and specific damage that resulted from Hurricane Harvey. Work is scheduled to begin this month. To see how Garver’s Federal Team can help you, visit GarverUSA.com/Federal. 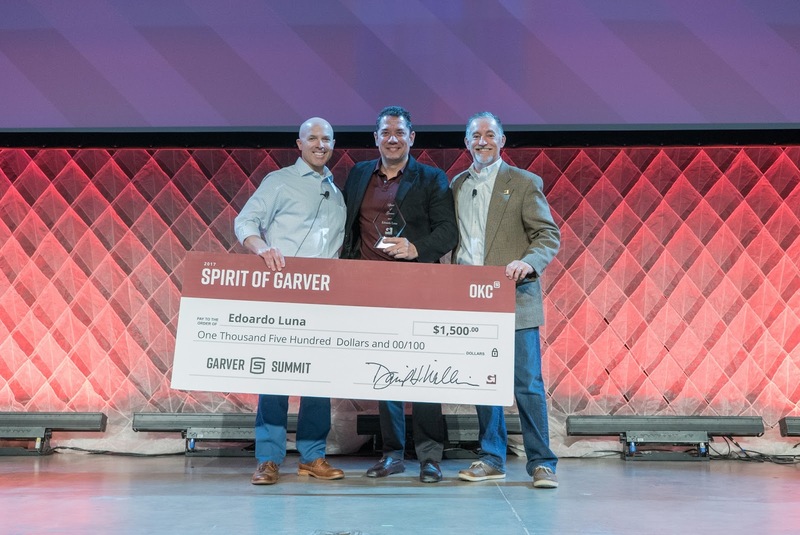 Garver's good year in wellness has continued, as it has once again been recognized as a leader in corporate wellness. 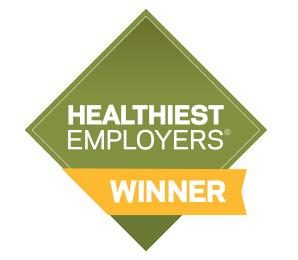 Named recently among the Top 100 Healthiest Employers at Fitbit Captivate 2017, a conference held in Chicago at which corporate wellness leaders gathered, Garver ranked 45th while being recognized for its ongoing commitment to employee health and comprehensive Wellness program. Wellness Coordinator Sarah Palmiero accepted the award presented by the Healthiest Employer, LLC, which received more than 1,800 applications. Garver, which was named a “Gold Well Workplace” earlier this year by the Wellness Council of America, earned its place on the list after being evaluated for its culture and leadership, foundational components, strategic planning, communications and marketing, programming and interventions, and reporting and analysis. Garver’s Wellness Program is modified annually based on collected biometric and insurance data, employee feedback, and current industry trends. The program repeatedly receives feedback from executive leadership, employee surveys and focus groups, and is routinely used as a recruiting and onboarding tool. To learn more about how Garver’s Wellness Program contributes to its award-winning culture, visit www.GarverUSA.com/JoinUs. One of Garver’s signature projects has earned one of its highest honors. 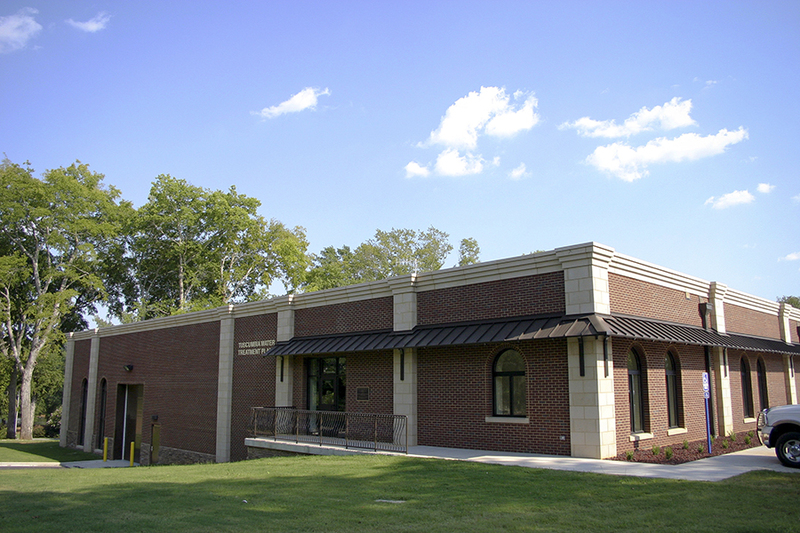 The Tuscumbia Water Treatment Plant and Supply Improvements project is being inducted into the State of Alabama Engineering Hall of Fame, joining less than 50 other projects in achieving the recognition since its inception in 1987. The plant, which in 2012 began treating the city's raw water supply from Big Spring, was the first in the state to use a blended series membrane process. The project won the Grand Conceptor Award from the American Council of Engineering Companies of Alabama in 2013, was a finalist for a national award, and now is being recognized by the Hall of Fame for the significant impact it has made on the region’s technological and economic development. The induction ceremony will be held Feb. 24, 2018 in Huntsville, Alabama. Dr. Steve Jones, Garver's Director of Water Services and its Membrane Technologist, said that the state-of-the-art, award-winning process train includes high-rate clarification pretreatment to handle seasonal suspended solids loadings, ultrafiltration (UF) membranes for turbidity and microbial control, slip-stream nanofiltration (NF) membranes to trim dissolved solids, and free chlorine disinfection for primary and secondary disinfection. Garver provided project design, funding assistance, bond issue assistance, construction management, and operational support in replacing a 60-year-old plant that had outlived its usefulness. The new plant is almost double the size of what it replaced, and outfitted with raw-water pumping, pretreatment basins, membranes, disinfection, high-service pumping and a 500,000-gallon clearwell. 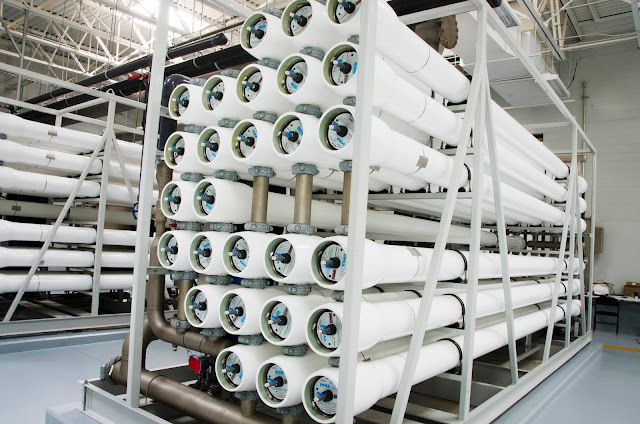 The filtration technology was the centerpiece of the 4 million gallons-per-day treatment plant, which purified and softened the city’s water that was high in alkalinity. The blended series membrane process meets all filtration requirements of the Safe Drinking Water Act and reduces the raw water’s hardness. "The city knew improvements were needed to address aging equipment and to accommodate increased peak demands and future growth," said Garver Project Manager Kyle Kruger. "Our design approach not only utilized advanced treatment specific to their needs, but it also provided infrastructure for current demands, readily expandable to meet future capacity." Learn more about Garver’s Water Team by visiting GarverUSA.com/Water.